Fortnite fans, get ready to partayyyyy! 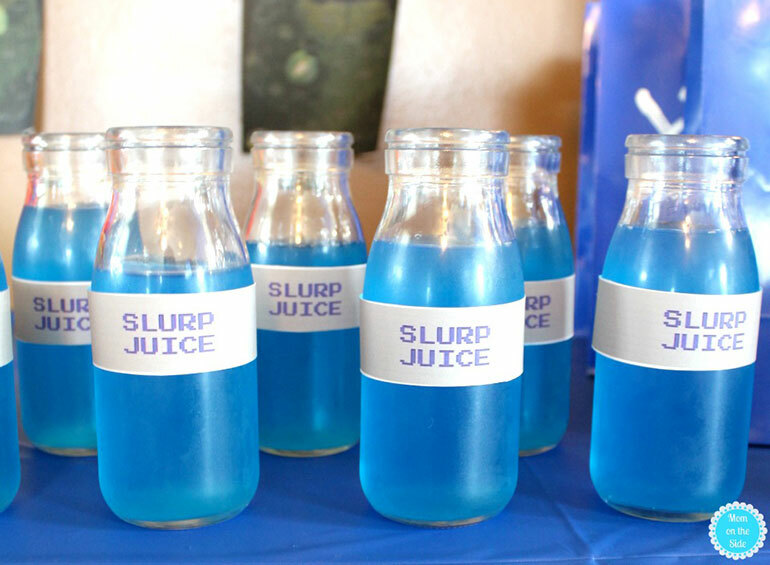 When it comes to a Fortnite theme birthday party for the kids, we’ve got you covered. 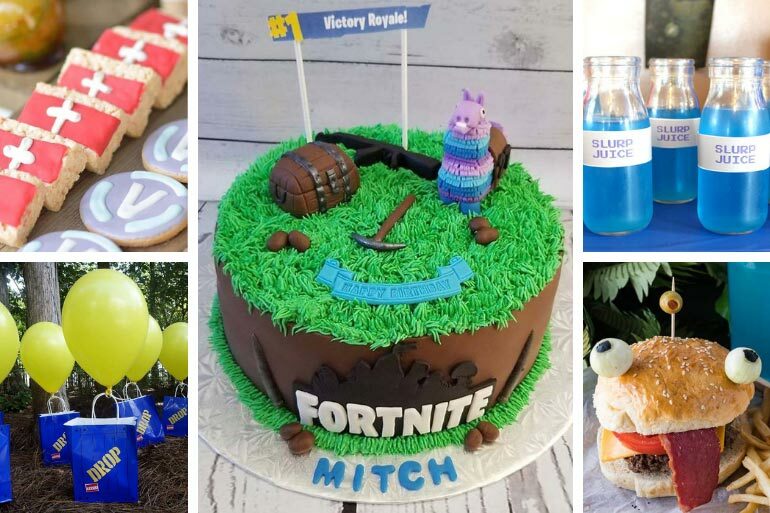 From chug jugs to medkits, we’ve got all the #fortniteinspo you need to get cracking on putting on a wonderful battle royale birthday party. There’s no arguing that Fortnite is the game of the century. It’s taken Australia by storm and taken over our lounge rooms on an epic level! Of course, with Fortnite fever in full grip, Fortnite theme parties are hot property. Here’s all the ideas – big and small – to make sure you’re not ‘Taking the L’ when it comes to planning a Fortnite themed celebration. It’s time to get that jar of pickled onions out the darkness in the back of the pantry. Durr burgers for lunch coming straight up! Medkit alert! 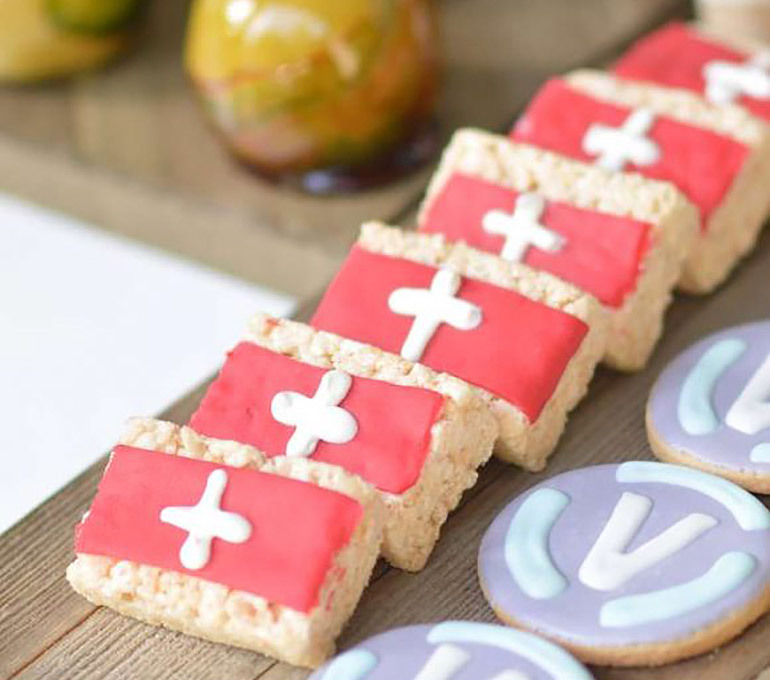 Make your own marshmallow rice bubble bars or buy them from the supermarket, either way it’s easy to dress them up into medkit themed bars with a fruit strap and a touch of icing. Genius! If you don’t serve jelly at a party, is it even a party? 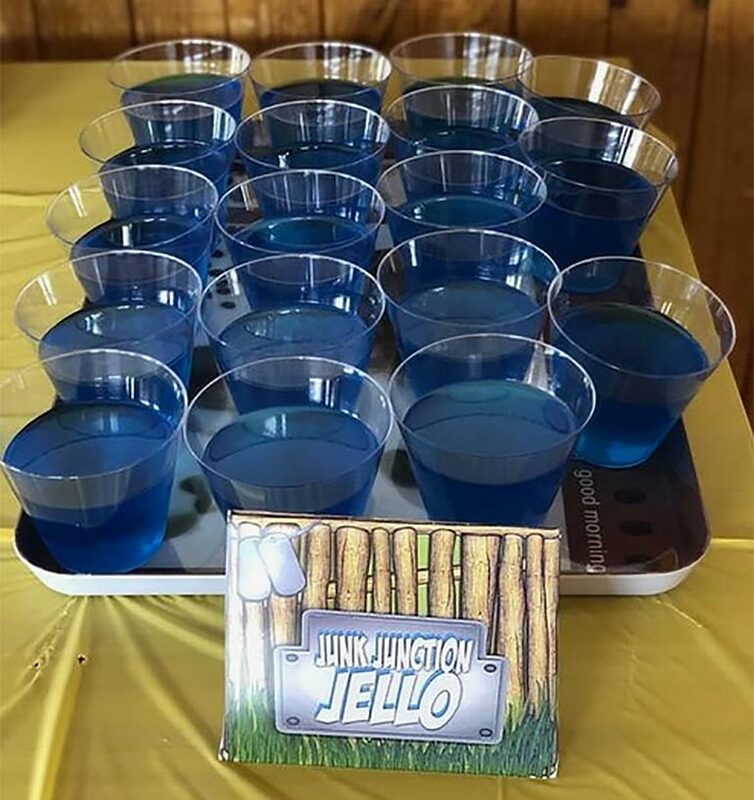 We love this fun Junk Junction jelly – such a fun AND EASY idea for the sweets table! Colourful boogie bombs are only a supermarket away. Fill up a bowl full of Skittles, Smarties or M&Ms for super colourful boogie bombs to nibble at. 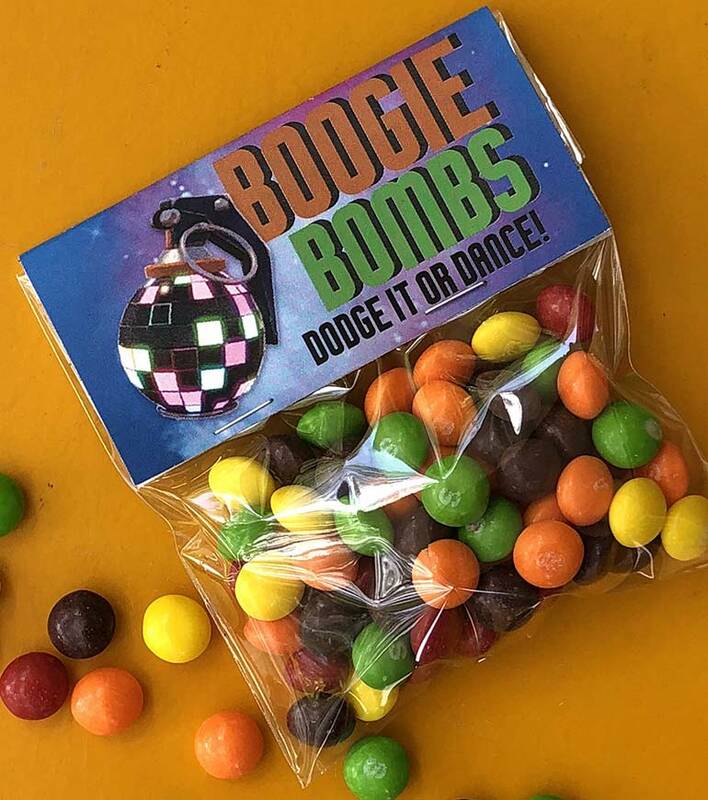 Perfect for party favours, pop them straight into cellophane bags for a bag of boogie bombs to go! Every Fortnite theme party needs V-bucks! The V-buck lends itself to dressing up cupcakes, cookies, even covering gold coins with a printed version. 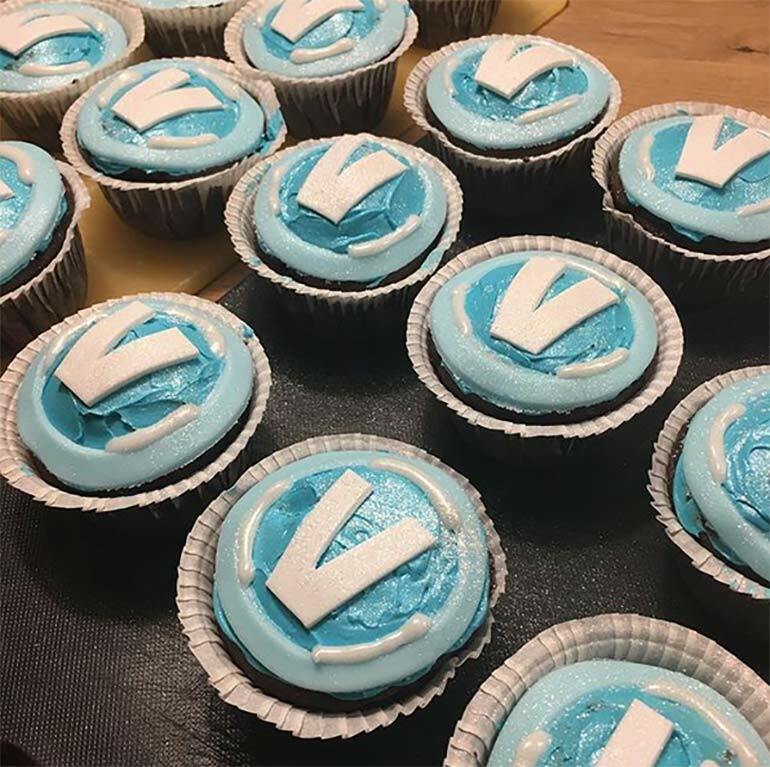 Let it rain V-buck cupcakes! After all, can you ever have enough V-bucks? NO YOU CANNOT. When it comes to bottles of blue drink, you can’t beat Cottees Blueberry Cordial. Mix it with water or lemonade for some extra zing! Instant slurp juice and chug jugs for the thirsty masses. 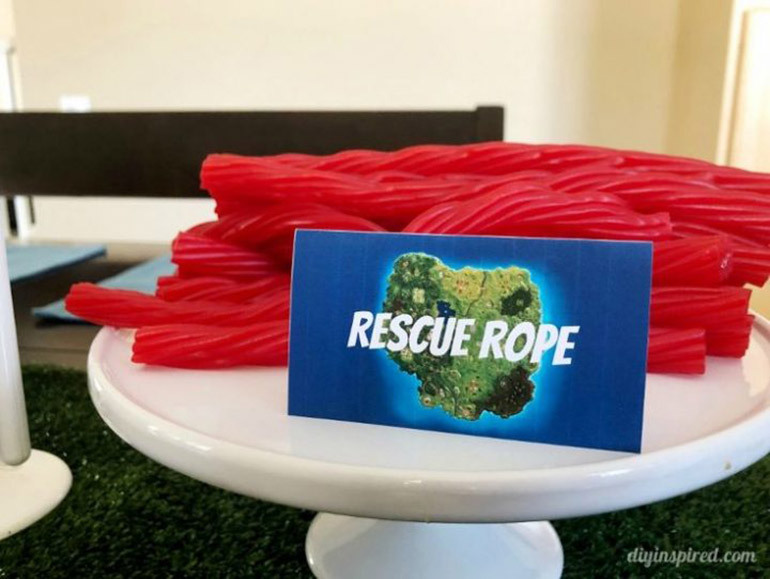 Rescue rope bundles are easy! Red liquorice has never been so handy! Get it on the party table STAT. You can’t have a Fortnite theme party without a Fortnite theme cake! 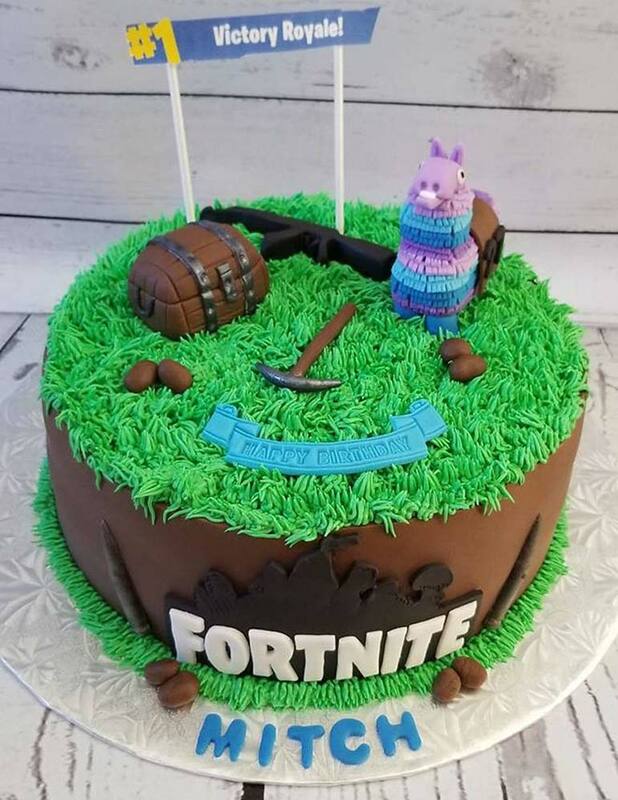 For the cake decorators among us, the choices are plentiful when decorating a Fortnite themed cake. For the mere mortals who aren’t that crash hot in the cake stakes, you can’t beat buying or making any kind of favourite cake and then popping a few shop bought characters (which double as birthday gifts!) on top. These $15 picks from Kmart are ideal! 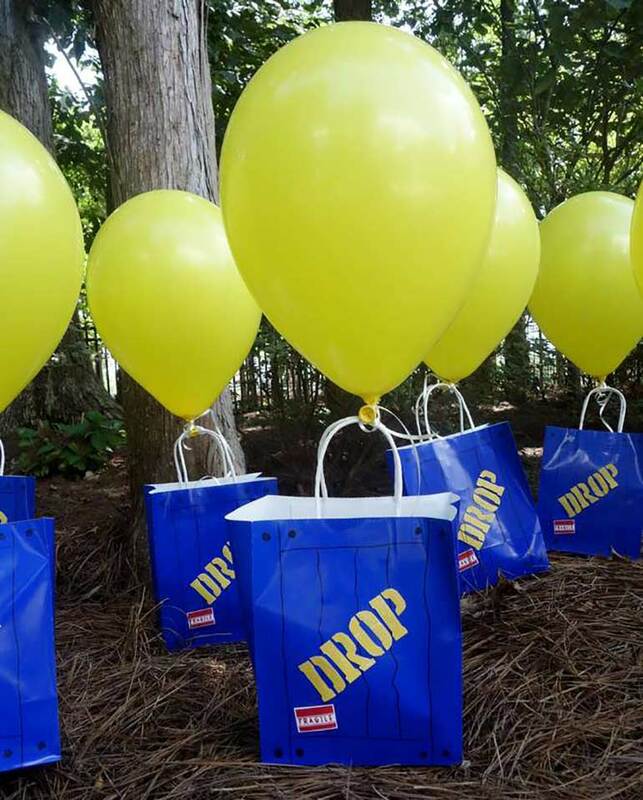 When it comes to party themed gift bags, it doesn’t get much easier than a Fortnite Supply Drop bag! A yellow helium balloon tied to a bag full of goodies and you’re ready to thank your party guests! 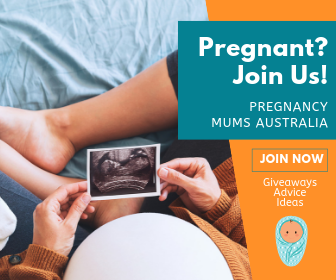 Put up your feet after a quick worm dance mum – your Fortnite theme party is DONE. 10. Part Pinata, Part Cake, the Ultimate Fortnite Loot Llama Cake! 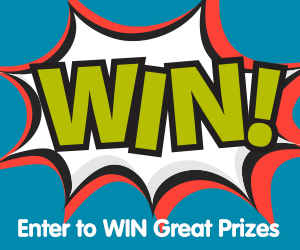 Up to an epic cake making challenge? This Fortnite llama cake packs a flavoursome punch – and a whole lot of loot. See it for yourself! HOT TIP: If it’s free printables you seek to give your party that polished edge, head to Mandy’s Party Printables and get ready to download and print all of your Fortnite favourites. 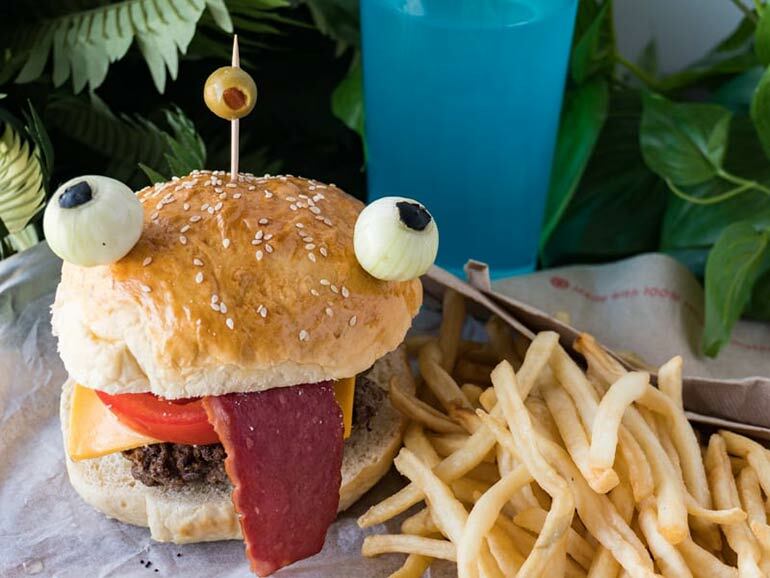 We hope you’re inspired to throw your very own Fortnite themed party. For more party theme inspiration, see our Under The Sea Party Ideas and Lego Party Ideas!